eSports is being recognized as an official sport and is displaying double-digit growth in audiences and revenues. It has a massive potential for businesses investing in this space, and it includes Play2Live, which provides you with a blackchain-based streaming platform for eSports and gaming. The world around you changing very fast and every day that passes by is laden with several changes that are for the most part, positive in nature. Nowadays, everything is now being interconnected with each other, of which offers the gaming industry. Due to this, video games are becoming more of the sport, rather than a form of entertainment. Some of the massive eSports events have prize pools that reach millions of dollars. eSports started as arcade games in the late 80s in California. Today, the competitive gaming or eSports, have evolved into quite astonishing and it has an estimated 250 million players, over several of the traditional Olympic sports federations combined and 2nd only the soccer as the global sport. Some predict that eSport will cross even soccer within the next twenty years. Successful eSports players, investors, and companies all stand to profit from this growing business. How Massive is eSports Betting? 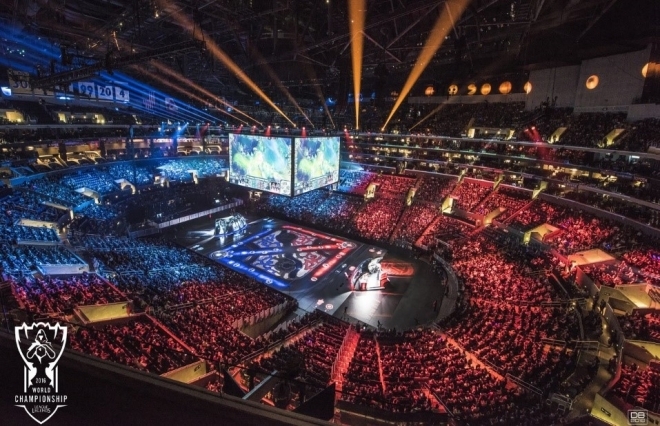 There’ve been lots of talks regarding the meteoric rise of eSport betting. Due to this, lots of market research several companies have decided to undertake researches about this matter and one of those company claims that the eSports industry is currently worth $696 Million. This amount of figure can be increased more than two-fold up to $1.5 Billion by the year 2020. The more surprising is that the study doesn’t add the revenue bookmakers get from the eSports betting odds. If you were to include it up to the stated figure, then definitely it would be higher than the available statistic. More and more websites are offering esports betting odds to gamblers. How fast is eSports betting growing? 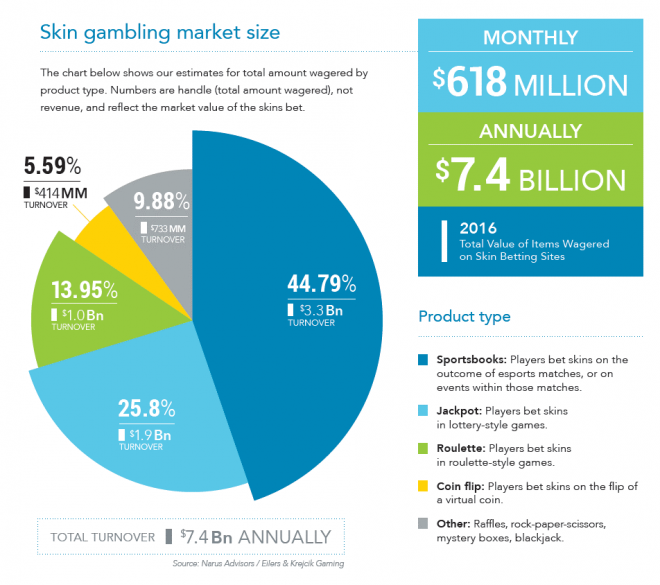 Many bookmakers are continuously growing due to the ever-widening selection of video games that both gamers and non-gamers can bet on. There are also several matches and tournaments available, which makes betting more attractive and exciting. If we talk about the report from Pinnacle, the betting company, it usually took them six-year to reach two million bets, and they had successfully entered the milestone in November 2015. Having begun their operations back in the year 2010, they can recognize to the painstakingly slow progress of the eSports industry. However, thinks took a fast and sudden turn of events in Oct of 2016, when they strangely crossed Four Million bets. After that, people aren’t anymore much concerned about how they can place a bet on any eSport games because all information related to these matches are available everywhere and can be figured out quickly. The number of bets reached 5 million after four months. This incident shows that how big of an eSports betting industry has become. Now, Pinnacle except to achieve the 10 million bet on the year 2018. The eSports betting industry has a huge fan base, due to the tournaments that are sponsored by massive companies. The good example of this is The International competition tournament of DOTA 2 video game. 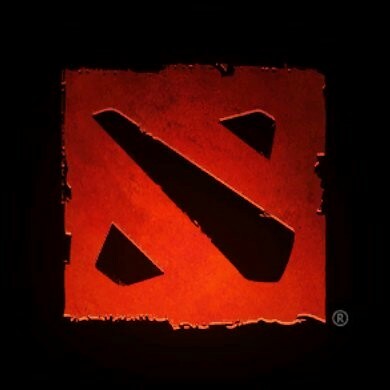 Which is one of the most popular and exciting competition when it comes to Dota 2 match betting In this tournament, players from all over the world compete against each other in an arena where tons of people flock. The game developer, Valve, sure discovers how to fire up their game to an international level. Mobile technology is placed the significant impact on the industry of the gaming as a while, although it’s still developing in eSports in the West. However, in Asia, the mobile’s growth eSports exploded during the year 2017, and it has already created franchise structures with live stadium events, professional leagues and millions of viewer. The increasing popularity is for both primary competitive games such as Arena of Valor and other casual video games, including Battle of Balls. 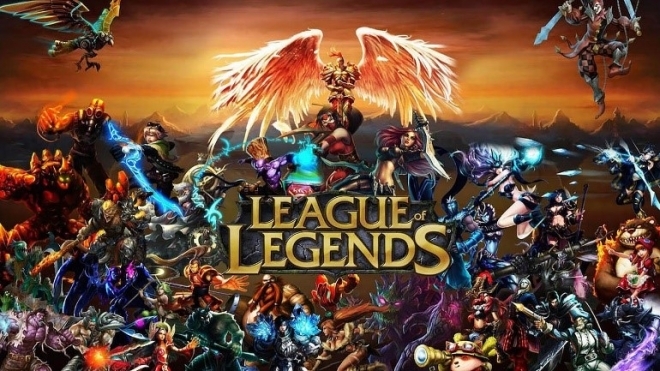 PC-based video game franchises are likely to conquer eSport viewership in the West, while mobile will increase the more casual format. Cryptocurrency and blockchain have also impacted the eSports’ growth and is likely to be the massive driver in the future. One of the strong reasons is that blockchain technology puts the power back into the participants, viewers, streamers, and organizers’ hands. They will be capable of interacting with each other and payments can be made seamlessly. It provides payments for betting, advertising, subscriptions, or donations to players, crowdfunding buys of in-game items, and all payments can be made transparently and securely. You can discover an interaction between traditional sports and eSports. eSports titles are created by conventional sports assist in bringing new fans to the traditional sports fan base. According to a survey in the US, up to 52% of eSports fans were also fans of NFL (National Football League), and 39% fans were NBA (National Basketball Association) and MLB (Major League Baseball) fans. Lots of traditional sports players are also gamers, playing video games in hotels and on planes while on tour. NASCAR has two different initiatives to add eSports. One of the organize tournaments at the massive tracks during the racing events, while another is for NASCAR teams to own their teams, to accomplish in their own pro leagues. Professional basketball in the United States has a strong connection with eSports, and NBA teams own several different teams. Players of eSports are starting to be recognized as professional athletes. They need brilliant eye-hand coordination and the amount of dedication, target the mental preparation as for other sports. There is a move to add them in popular sports events including the Olympic Games. The step towards this has been the eSports’ inclusion into the Asian games. The International Olympics Committee stated in October 2017 that: “Competitive eSports could be considered as a sporting activity, and gamers involved prepare and train with an intensity which could be comparable to athletes in traditional sports”. While the growth of eSports will start with or without Olympic recognition, certainly would boost the credibility of the sport. One of the main change in the media market and broadcasting is the VOD (video on demand). People in the massive amount want to decide what they are looking for to watch. The people want to exclude advertisement if they select. There is a fantastic way from satellite and Cable TV towards the live streaming, which is more flexible, reliable, and affordable offering by Netflix and YouTube. 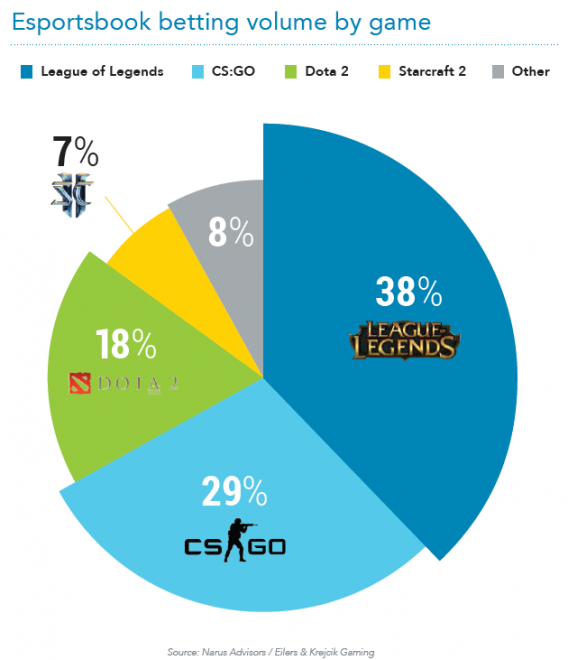 Platforms for eSports and gaming are growing very fast in viewership. Twitch is one of the best platforms for eSports videos and has over 100,000 monthly active users. The use of applications increase day by day, and it is a natural truth for the evolution of any market, including Sports betting, which isn’t too far from this trend and we can discover innovative applications on all types of platforms as well as mobile devices. These applications aren’t created by leading bookmakers, but by the third-party technology companies which invest is analysing and uniquely studying different sports. Several applications also provide you with a list of famous bookmakers, along with their odds for the individual event. Many big-time bookmakers are trying to play with the idea of purchasing match-rights for games and hosting them on their platforms. These types of value include will make the globe of betting an exciting place. The year 2018 will be an excellent year for eSprots, made an epic comeback after the lacklustre in 2016. Latest news from research and development centres of gaming in Sweden and Germany are hinting towards the groundbreaking games that will recreate the contours of gaming in different areas. New video games are being created with social gaming element in mind, and this social networking of video games has already provided rise to gaming cults across the world. Competitive gaming field has become the new way among the millennial, and they are hungry for new content. The market of eSports is predicted a boom in the mid of 2018, which is based on reports and investor sentiments from the entertainment sector. The fresh new lease of life will prove the gear year for eSports, and it is the right time to jump into this segment for players, as brands are looking for new offer innovative ways and new to bet in electric events. This evolution in eSports has become the lucrative market for betting industry and the rise of mobile gaming is serving as the catalyst for betting in these specific events. Nowadays, the visitors want something engaging to go along with the gaming ambience. The choice of placing bets on their favourite team or players won’t only improve the visitor-engagement but also the betting industry within the industry of eSports. In this year, the FIFA World Cup came and with Russia organizing the world level soccer matches, also caught the attention of the vast online community of sports betting with the changes is provided. There are many teams, analyses were completed and players on the list of eSports sites. Skilled punters were doing their jobs for winning probabilities of eSport betting, and in another hand, bookies were released different master plans, as well as they, introduce of these events to offer odds in multiple ways on the World Cup matches. Various sites provided with varying programs of a bonus as well as sports based incentives across the world cup matches. Nowadays, you will find out gamers playing different video games according to its taste or for fun at an eSports Tournament. Today, eSports is no longer a sport, and it’s now a venue for professional gamers with real professional teams. In these tournaments, the professional gamers can earn actual salaries, ranging from $36,000 to $250,000 a year with top players making millions of dollars every year. As in all types of professional sports, there will always be a form of getting involved. eSports aren’t an exception. You will discover several sportsbooks that now provide eSports betting options if you search eSports Betting on google.